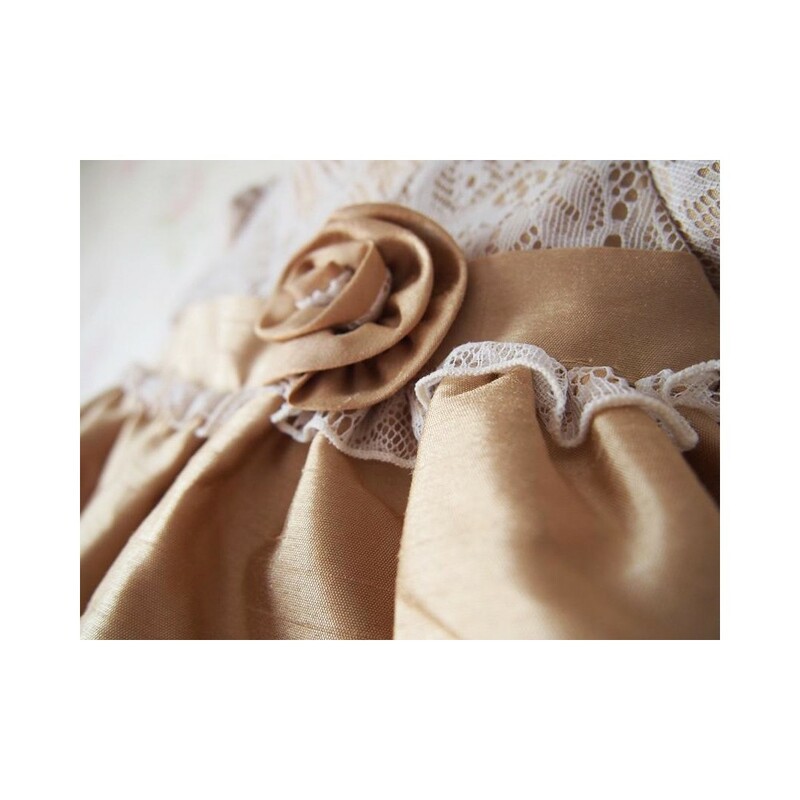 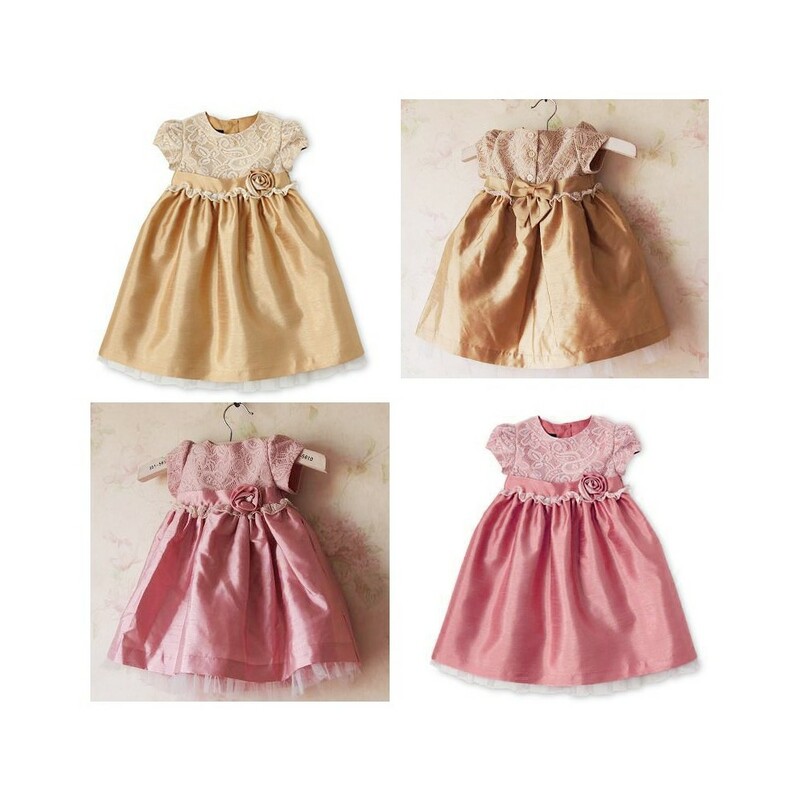 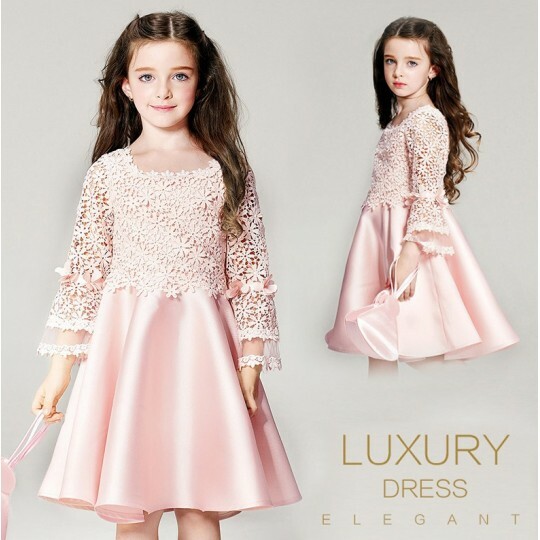 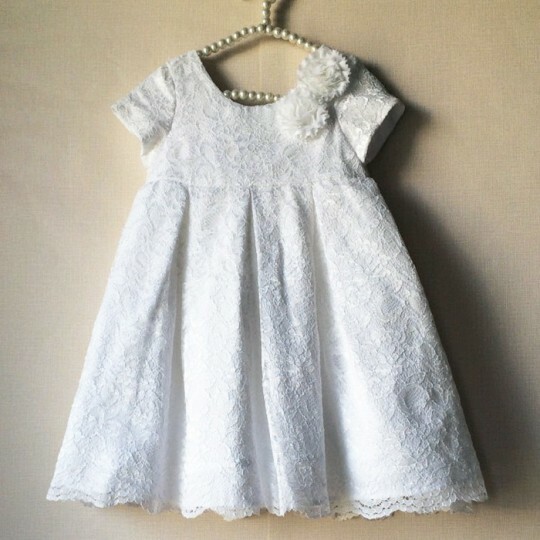 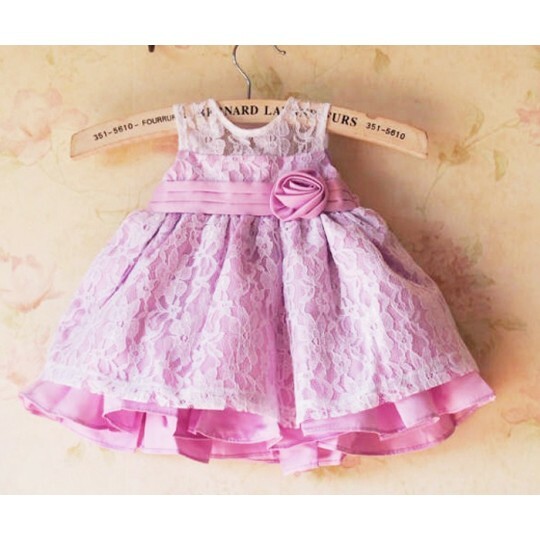 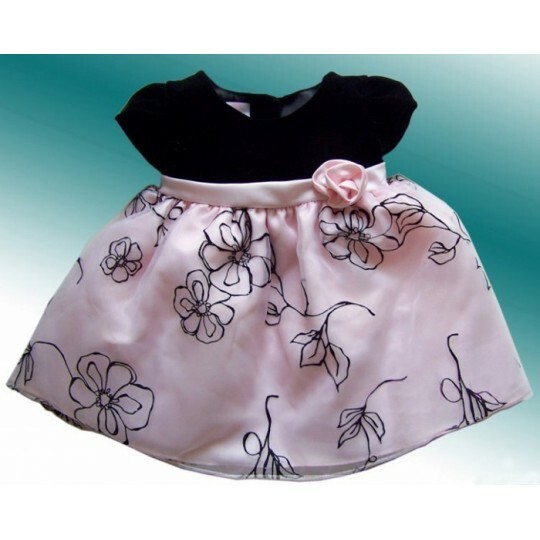 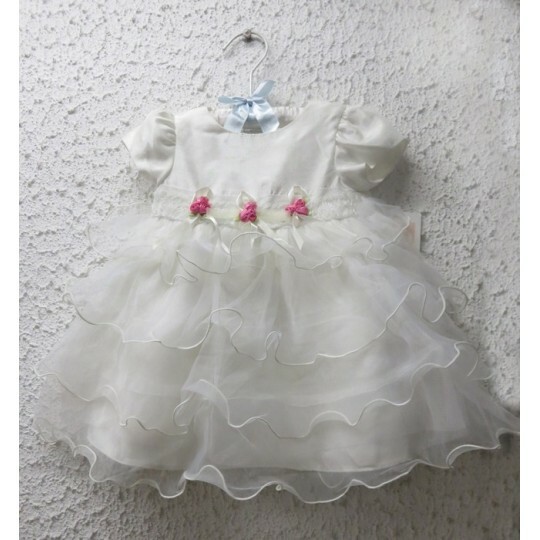 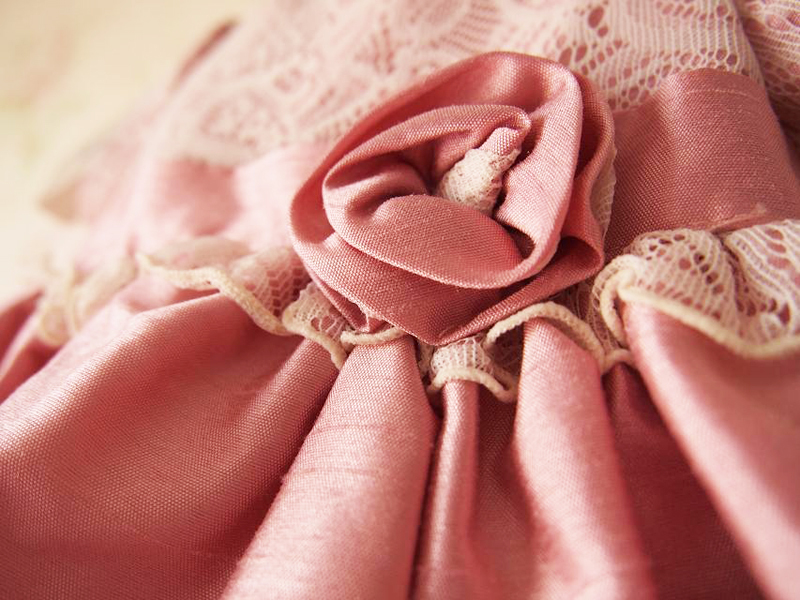 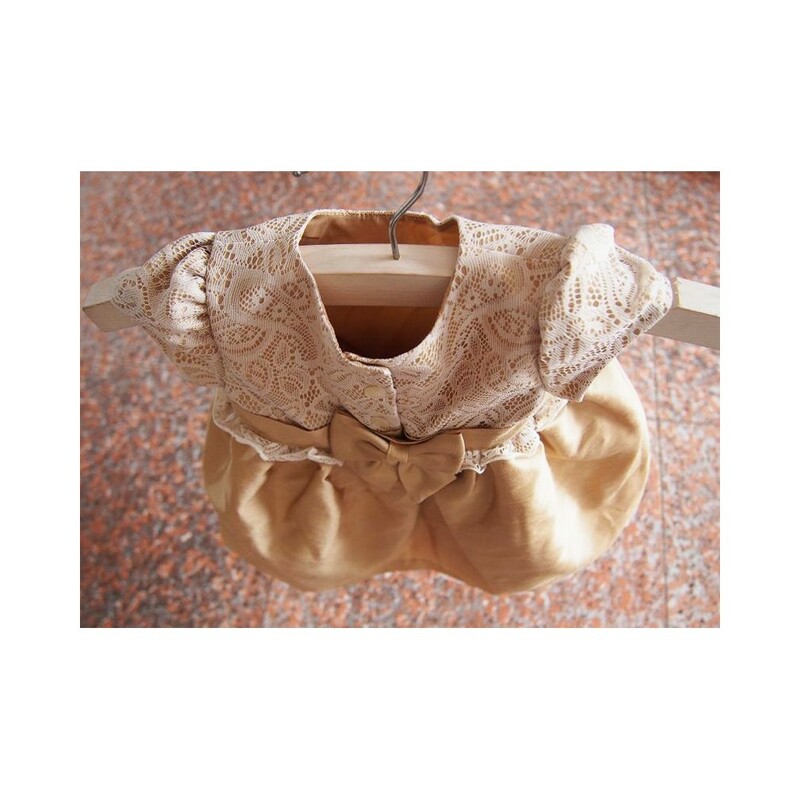 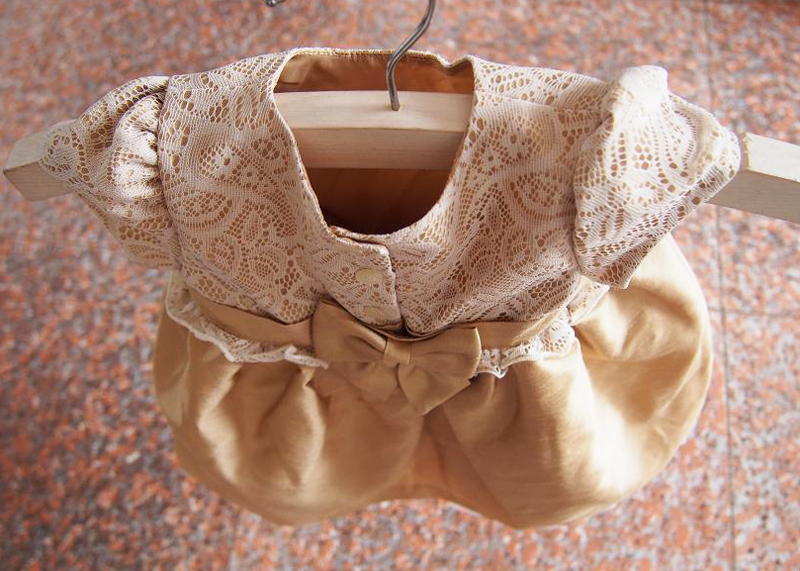 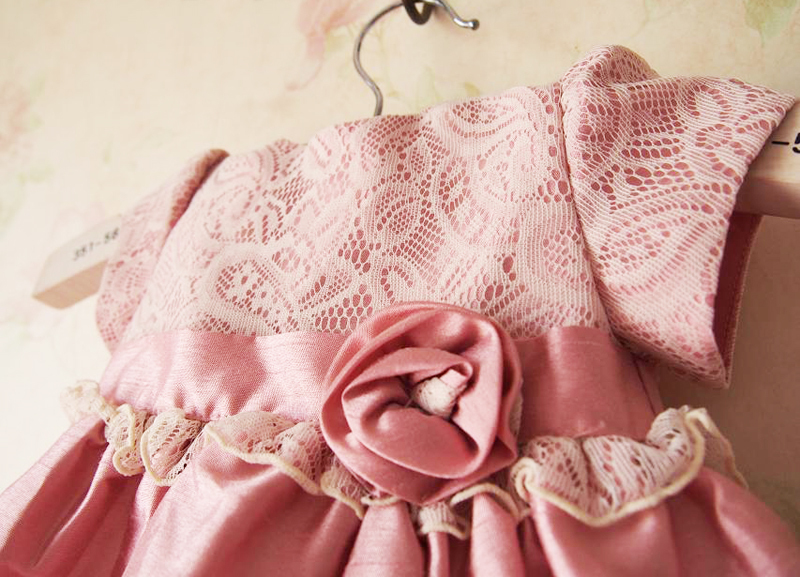 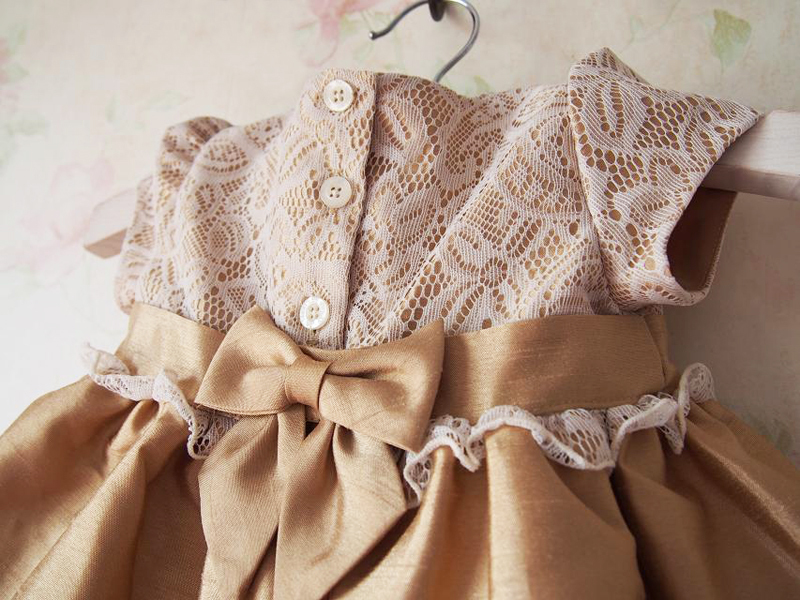 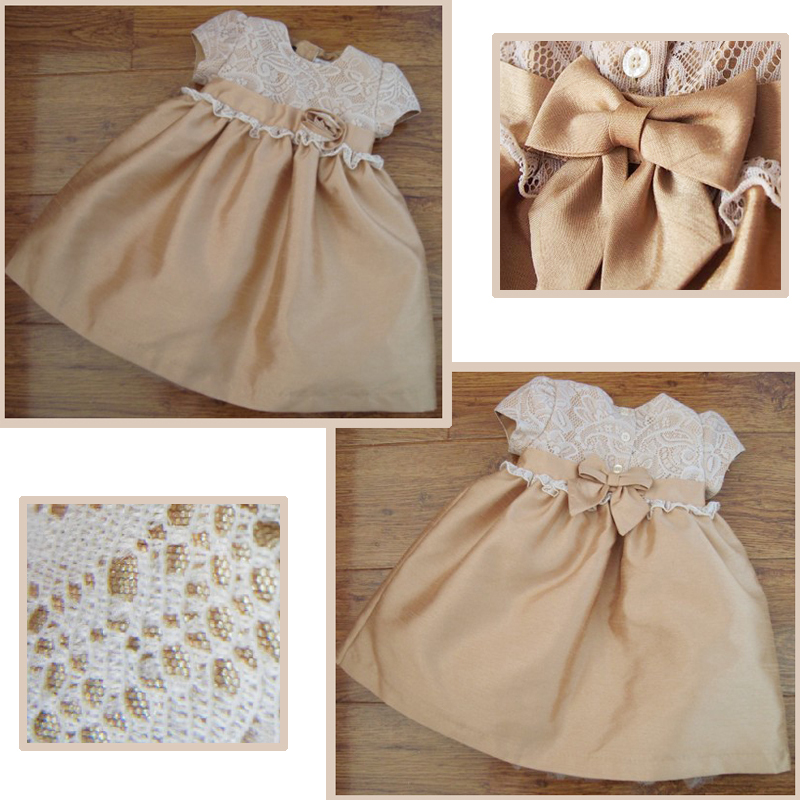 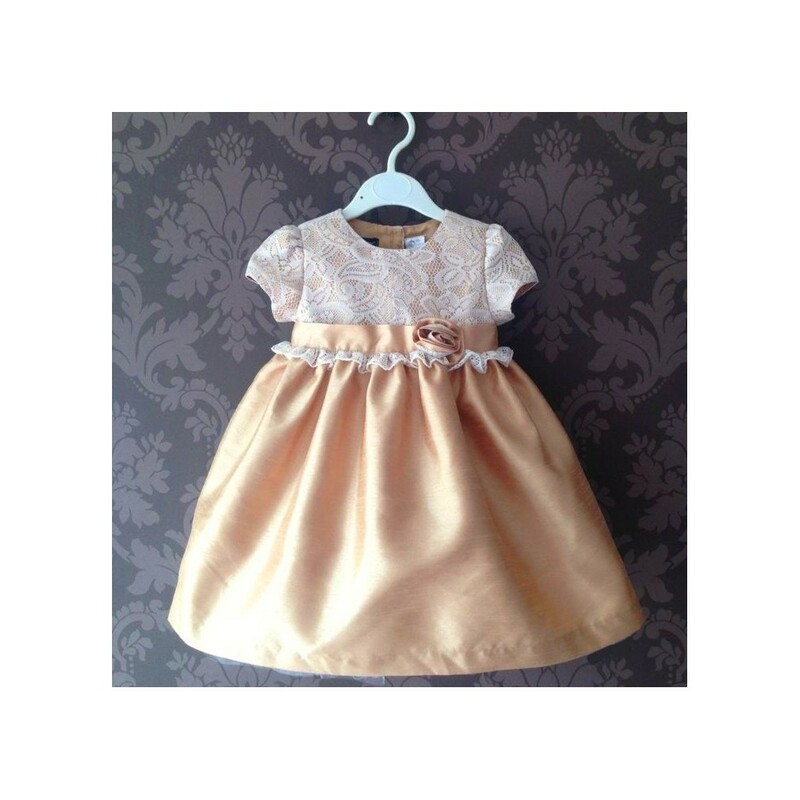 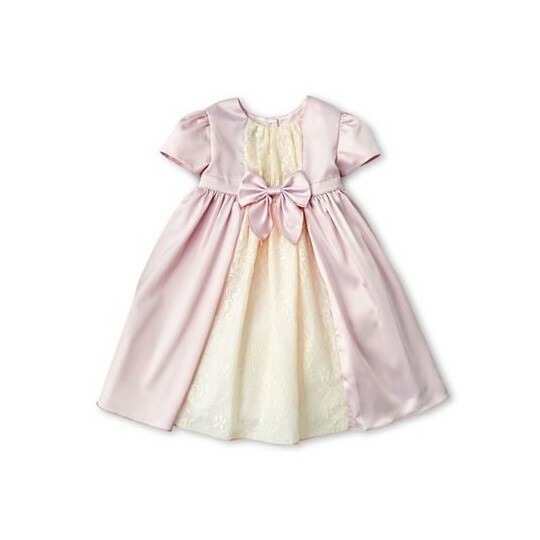 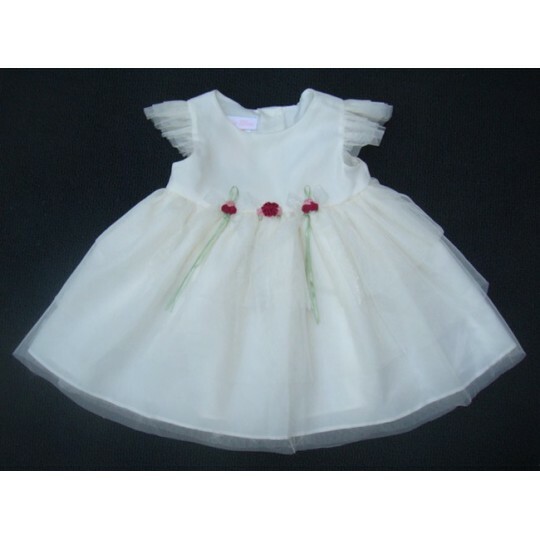 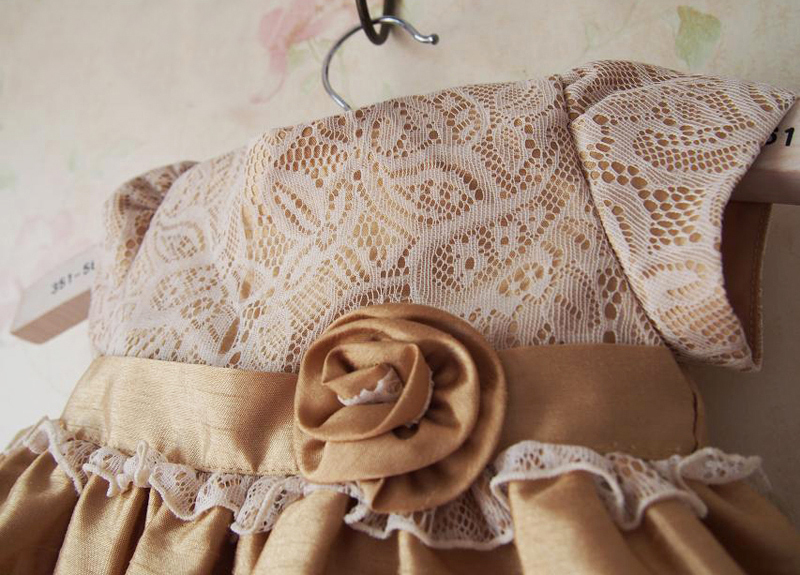 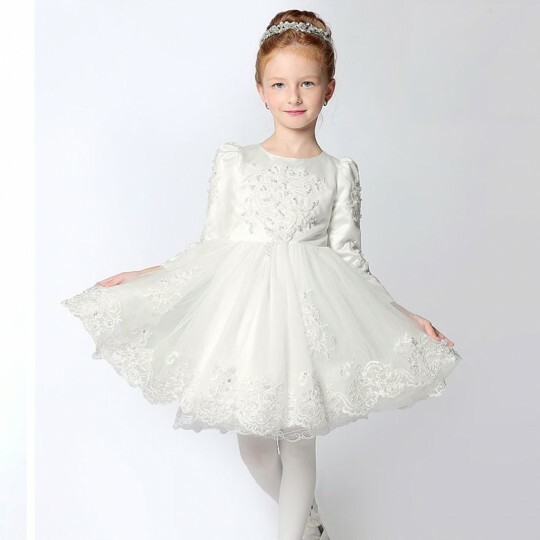 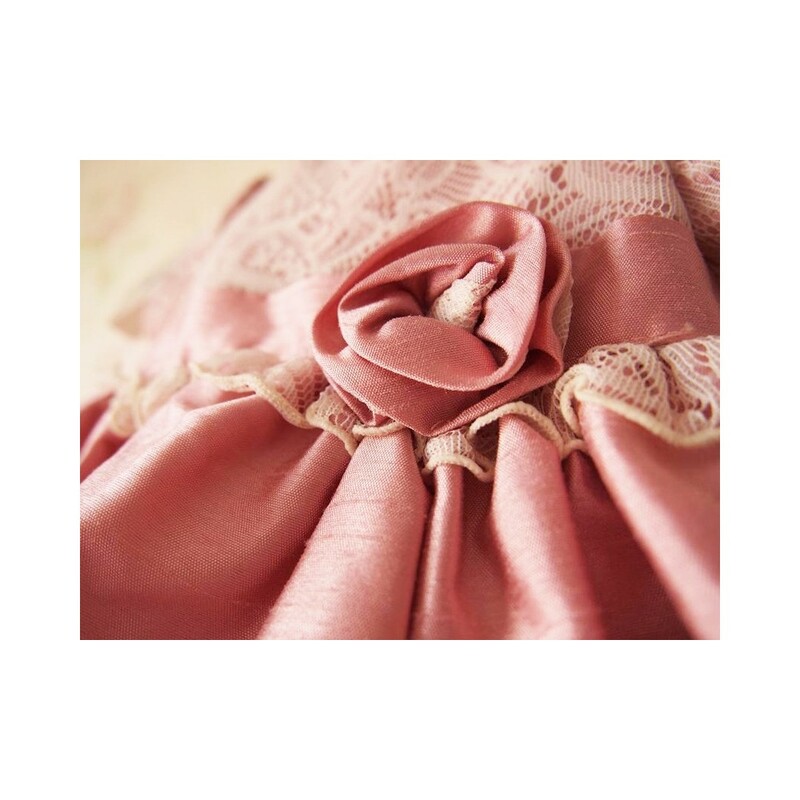 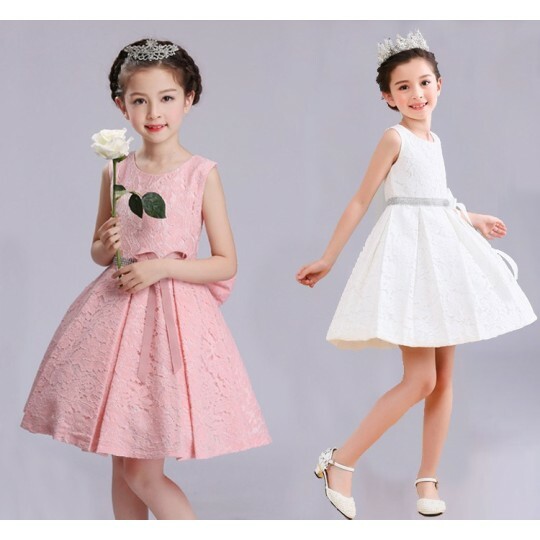 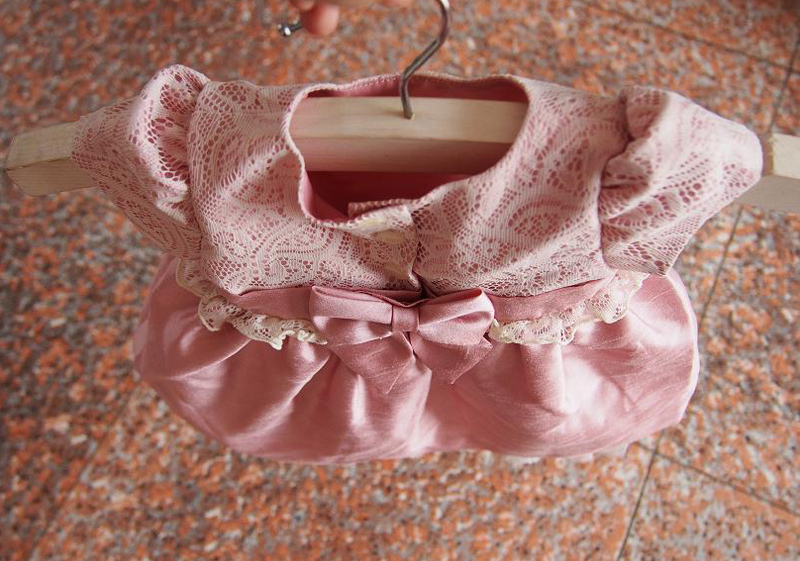 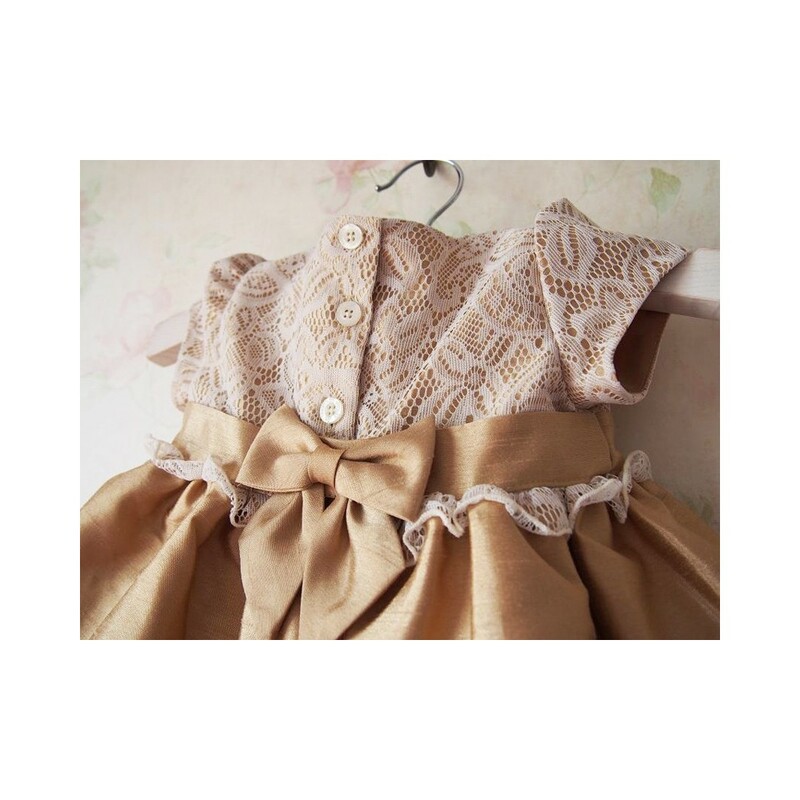 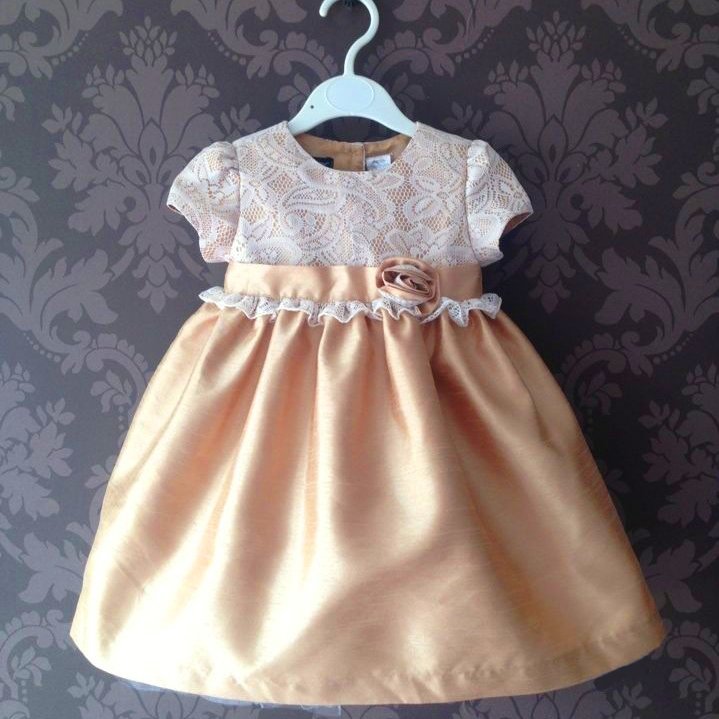 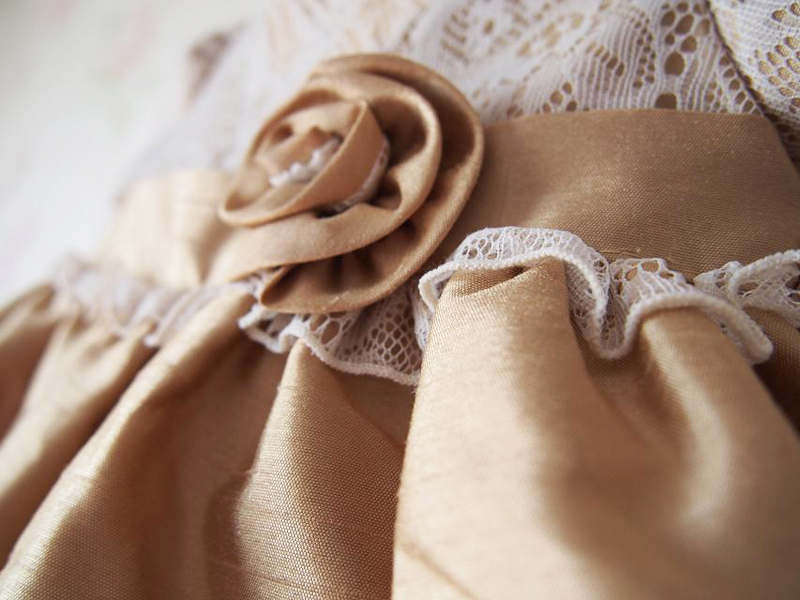 Fine embroidered Shantung Fabric Baby Girl formal dress for special occasions. 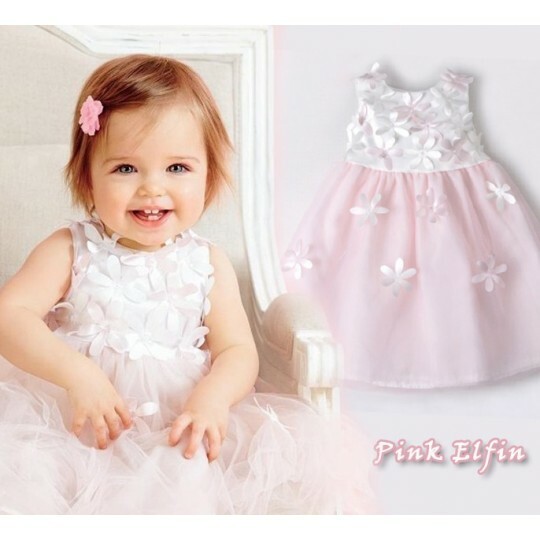 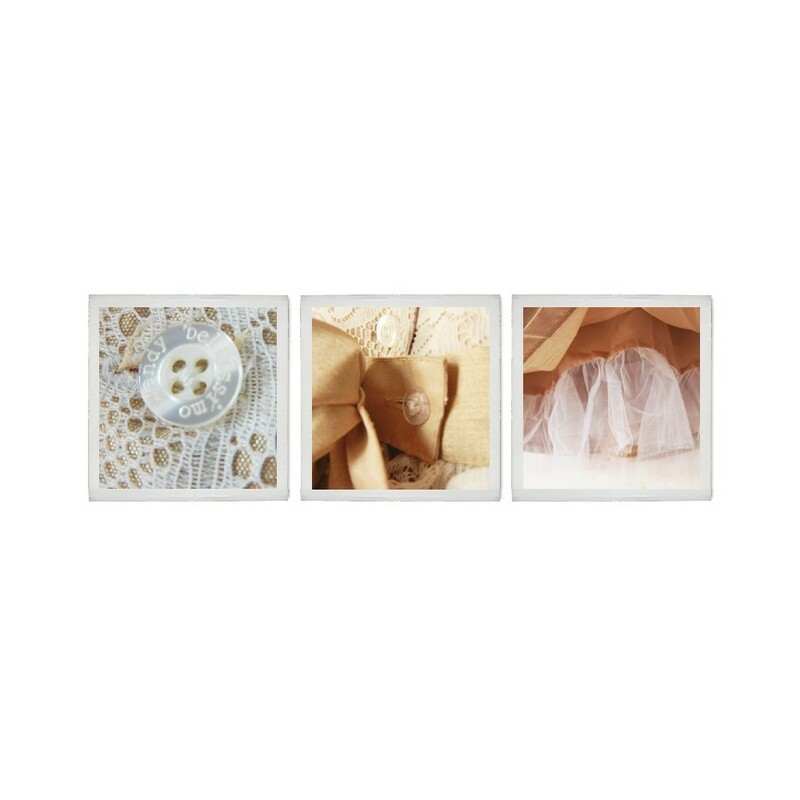 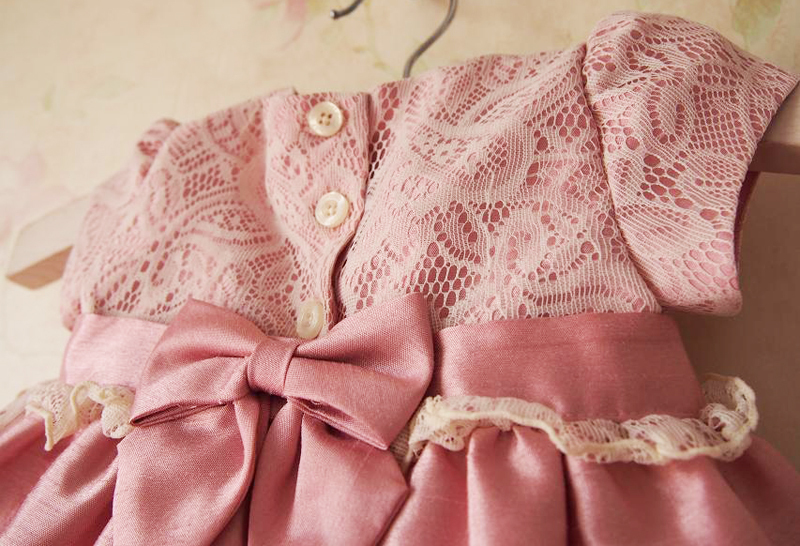 Perfect for a special wedding as flower girl. 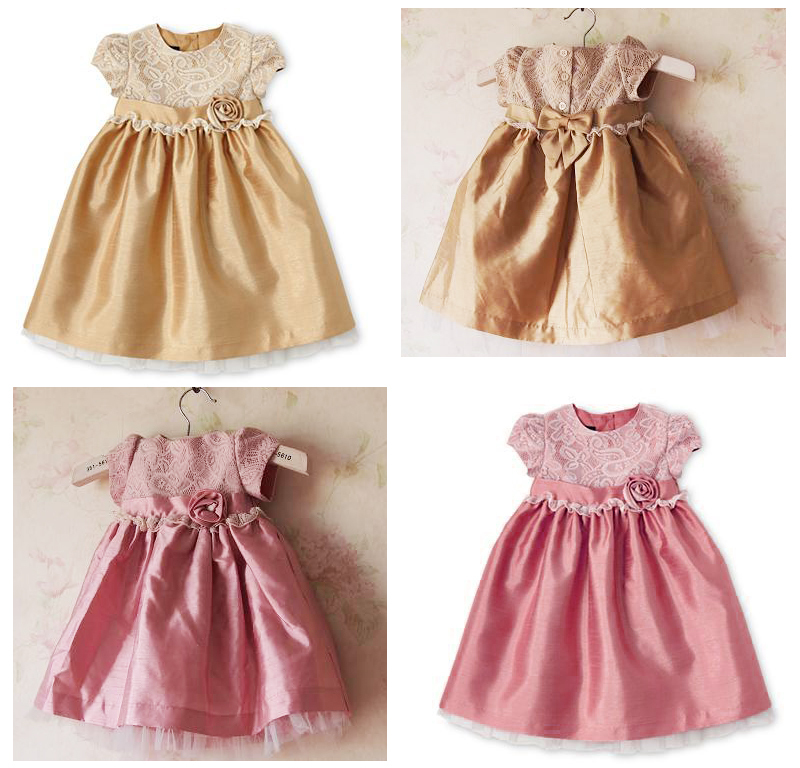 Available in two colors: pink, Champagne.